Our panelled internal door range also comes in a Traditional Dublin raised panel option, in both fire rated and non fire rated editions. 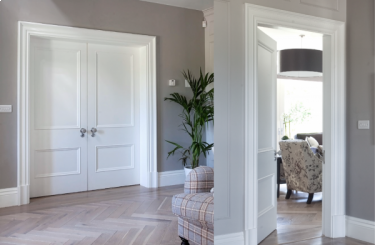 The raised Dublin panelled door adds a refined and elegant touch to a space, combining beautifully with a detailed architrave and ceiling cornice. 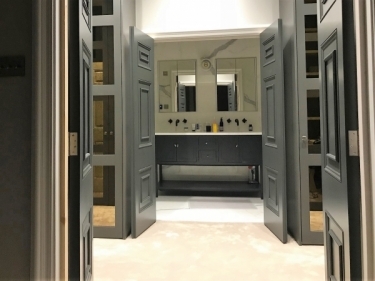 As each internal door is made to measure the client’s specification, this give us to the freedom to create a raised panel door complete with any mould from our range. 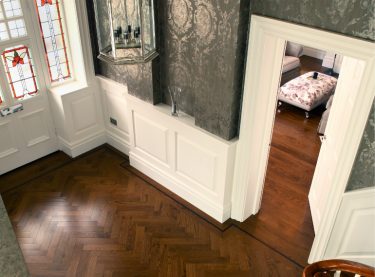 From a contemporary to traditional look, we are here to help you achieve your desired aesthetic. The 2 panel custom made to measure internal door model is a classic design, and is popular throughout the United Kingdom. Hung separately, or as a pair these doors will make a statement in any home. The tabs below hold more information on the build, finish and delivery of the door. At Trunk we are proud to offer designer bespoke doors, without the hefty price tag.